Some selected innovation tools, tips, links and insights. THE RIGHT IDEA, TIP, LINK, WHITE PAPER AND MORE… AT THE RIGHT TIME? Can the right resource at the right time make all the difference? We think so. That’s why we keep a fresh list of innovation resources on hand. Books, reports, web pages, CheatSheets, white papers, worksheets, and more… All just a click away. 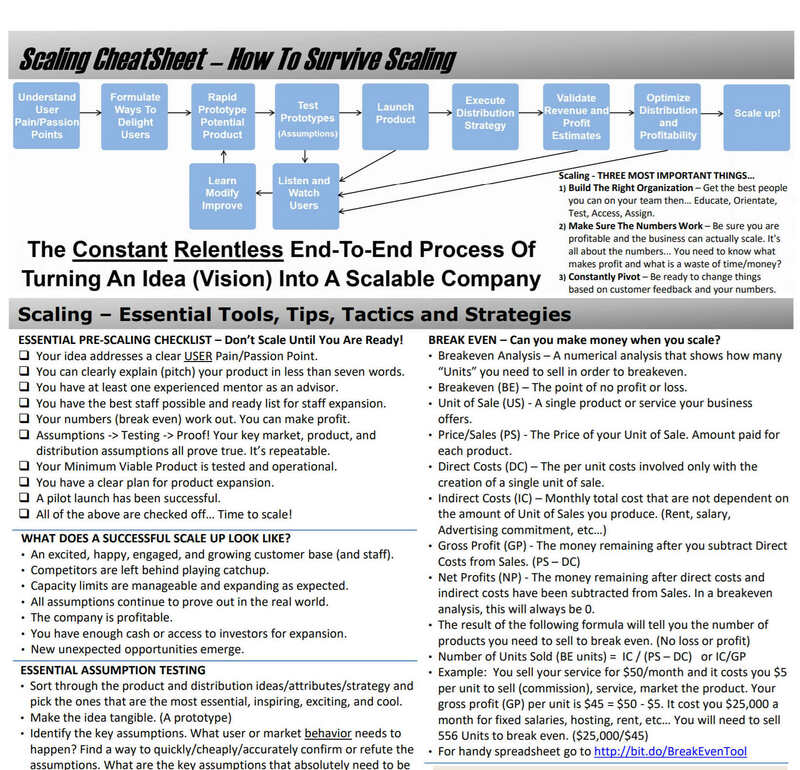 This resource will take you through the end-to-end processes related to Scaling your startup. Includes a Pre-Scaling checklist to be sure you don’t scale until you are ready.